The CIA did not approve of those who questioned the official verdict on President Kennedy’s assassination. The publication of the first wave of critical books, such as Sylvia Meagher’s Accessories After the Fact and Harold Weisberg’s Whitewash , led the CIA in 1967 to produce an internal document which stated its concerns and suggested ways to counteract the critics. The document was released in 1977 as the result of a request under the Freedom of Information Act for access to Lee Harvey Oswald’s CIA file, no. 201–289248. The document is reproduced below. and, on the other hand, the strong rejection of that account by the general population and, perhaps even more so, by knowledgeable writers. 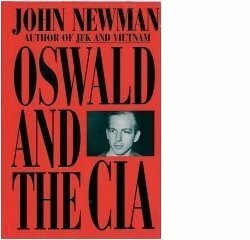 The CIA document claimed in 1967 that “46% of the American public did not think that Oswald acted alone.” In 1976, the figure was 81%. Much of the media’s behaviour can be explained by simple institutional analysis, without needing to invoke corruption or conspiracy. The media’s coverage of political events is necessarily influenced by its identification with established political institutions, and in some cases by its owners’ membership of such institutions. Nevertheless, the CIA’s widespread use of full–time and freelance employees within the media, sometimes known as Operation Mockingbird, surely influences any story in which the CIA’s reputation might be directly affected. ( Church Committee, Book I, p.455 ). For a detailed account, see Carl Bernstein, ‘CIA and the Media,’ Rolling Stone , 20 October 1977. One of the CIA’s assets, according to Bernstein, was Joseph Alsop, who telephoned President Johnson on the morning of President Kennedy’s funeral, offering advice about the best way to promote the lone–gunman account. The document acknowledged the danger posed by rumours that Oswald had been associated in some way with the CIA. Although there is no definitive documentary proof of such an association, Oswald’s career as a defector who was welcomed back to the USA, and his close links to both pro– and anti–Castro activists in New Orleans, provide strong circumstantial evidence that he was not the mixed–up loner that the document claims him to have been. Elements within the CIA knew about Oswald’s impersonation in Mexico City a few weeks before the assassination, and possessed “a keen interest in Oswald on a need–to–know basis,” in the words of one of the CIA officers involved (see Jefferson Morley, ‘What Jane Roman Said, part 3’ at history–matters.com). The impersonation implied a sinister association between Oswald and the Soviet regime, and led directly to the official adoption of the lone–gunman theory as the only politically acceptable solution to the assassination. 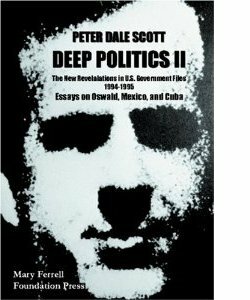 An anti–Castro group, the Directorio Revolucionario Estudiantil, with whom Oswald had had dealings in New Orleans immediately before the Mexico City incident, was substantially funded by the CIA. The Agency’s public–relations activities continued into the 1970s, when George Joannides, who had been in charge of the DRE project, became the CIA’s liaison with the House Select Committee on Assassinations. Joannides ensured that the HSCA did not find out about the DRE’s connection with the CIA. The CIA document claims that “the members of the Warren Commission were naturally chosen for their integrity, experience and prominence. They … were deliberately drawn from all sections of the country.” In his 16 Questions on the Assassination, the critic Bertrand Russell had pointed out that the opposite was the truth. 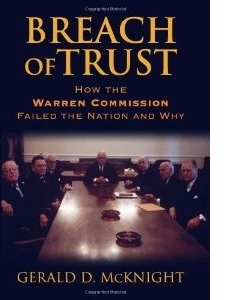 The members of the Warren Commission were drawn from a very limited section of the country, and were chosen precisely because their institutional allegiances meant that they could be trusted not to ask too many awkward questions. The document recognises that criticism of the Warren Commissioners’ “rectitude and wisdom tend[s] to cast doubt on the whole leadership of American society,” and, by extension, the CIA itself. and the repeated attempts to assassinate Fidel Castro by an alliance of the CIA and certain mafia leaders. CIA document 1035–960 is available at the National Archives: NARA RIF no. 104–10009–10022. A scan in PNG format is available at http://www.maryferrell.org/mffweb/archive/viewer/showDoc.do?absPageId=567348. Included are the eight background documents. Our Concern. 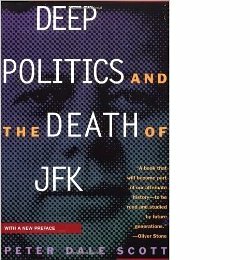 From the day of President Kennedy’s assassination on, there has been speculation about the responsibility for his murder. 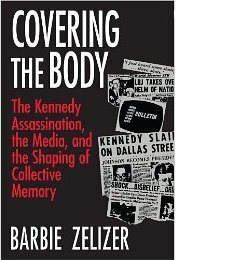 Although this was stemmed for a time by the Warren Commission report (which appeared at the end of September 1964), various writers have now had time to scan the Commission’s published report and documents for new pretexts for questioning, and there has been a new wave of books and articles criticizing the Commission’s findings. In most cases the critics have speculated as to the existence of some kind of conspiracy, and often they have implied that the Commission itself was involved. Presumably as a result of the increasing challenge to the Warren Commission’s Report , a public opinion poll recently indicated that 46% of the American public did not think that Oswald acted alone, while more than half of those polled thought that the Commission had left some questions unresolved. Doubtless polls abroad would show similar, or possibly more adverse results. To discuss the publicity problem with liaison and friendly elite contacts (especially politicians and editors), pointing out that the Warren Commission made as thorough an investigation as humanly possible, that the charges of the critics are without serious foundation, and that further speculative discussion only plays into the hands of the opposition. Point out also that parts of the conspiracy talk appear to be deliberately generated by Communist propagandists. Urge them to use their influence to discourage unfounded and irresponsible speculation. Critics usually overvalue particular items and ignore others. They tend to place more emphasis on the recollections of individual witnesses (which are less reliable and more divergent — and hence offer more hand–holds for criticism) and less on ballistics, autopsy, and photographic evidence. A close examination of the Commission’s records will usually show that the conflicting eyewitness accounts are quoted out of context, or were discarded by the Commission for good and sufficient reason. Conspiracy on the large scale often suggested would be impossible to conceal in the United States, esp. since informants could expect to receive large royalties, etc. Note that Robert Kennedy, Attorney General at the time and John F. Kennedy’s brother, would be the last man to overlook or conceal any conspiracy. And as one reviewer pointed out, Congressman Gerald R. Ford would hardly have held his tongue for the sake of the Democratic administration, and Senator Russell would have had every political interest in exposing any misdeeds on the part of Chief Justice Warren. A conspirator moreover would hardly choose a location for a shooting where so much depended on conditions beyond his control: the route, the speed of the cars, the moving target, the risk that the assassin would be discovered. A group of wealthy conspirators could have arranged much more secure conditions. Critics have often been enticed by a form of intellectual pride: they light on some theory and fall in love with it; they also scoff at the Commission because it did not always answer every question with a flat decision one way or the other. Actually, the make–up of the Commission and its staff was an excellent safeguard against over–commitment to any one theory, or against the illicit transformation of probabilities into certainties. Oswald would not have been any sensible person’s choice for a co–conspirator. He was a “loner,” mixed up, of questionable reliability and an unknown quantity to any professional intelligence service. As to charges that the Commission’s report was a rush job, it emerged three months after the deadline originally set. But to the degree that the Commission tried to speed up its reporting, this was largely due to the pressure of irresponsible speculation already appearing, in some cases coming from the same critics who, refusing to admit their errors, are now putting out new criticisms. Where possible, counter speculation by encouraging reference to the Commission’s Report itself. Open–minded foreign readers should still be impressed by the care, thoroughness, objectivity and speed with which the Commission worked. Reviewers of other books might be encouraged to add to their account the idea that, checking back with the Report itself, they found it far superior to the work of its critics. HTML elements have been incorporated to make this version accessible both to human readers and search engines. The text is unchanged, except that underlinings in the original are represented by bold text.